Recently we sat down with Southern Californian artist GRAFIK a Creative Director, illustrator and designer from Orange County, Ca. 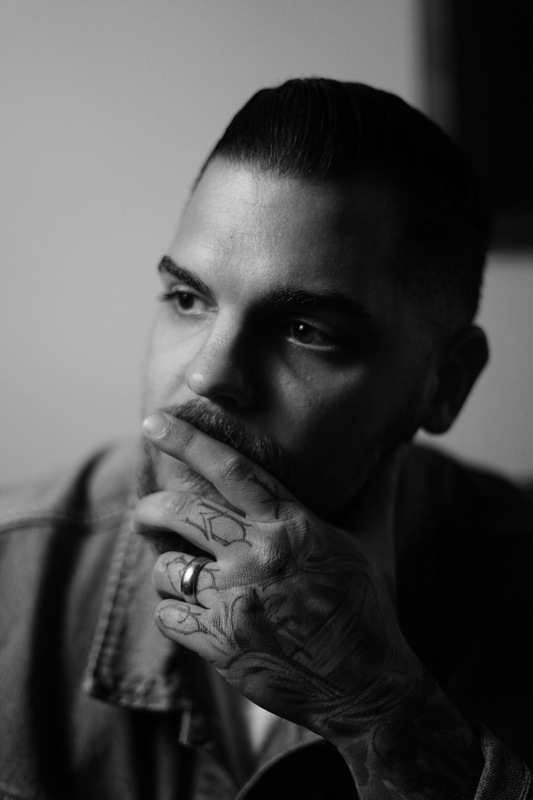 His work has been showcased in local galleries and featured on sites such as Billboard, Complex and Hypebeast through his partnership with Interscope recording artist, Fxxxxy. Q: When did you begin working with art? A: I picked up drawing relatively early on in life, around the ages of 4 and 5 but didn’t fully realize I wanted a career as an artist until about 6th grade. I’ve always taken a liking to album art specifically. I would spend a lot of time looking at CD booklets or magazines thinking of how cool it would be to create something that get’s showcased in that medium and how it wasn’t just a print but packaged with music or printed and sold in stores. I didn’t start making money off my art until I was about 16 when myspace music profiles were a thing, I would design artist profiles and promotional content, It was the closest to merging my work with music I could get at the time. Q: Where do you draw your inspirations from when creating? A: I’m inspired by a lot of things but to narrow it down to the most common, it would have to be from music I listen to, personal goals or simply conversations I have with people. Each project or body of work is subject to coming from a different place of inspiration depending on what it is I’m working on. Early on in life, I was inspired by the works of people like Patrick Nagel, Mike Giant, Mr. Cartoon and Shepard Fairey to name a few. I always loved the work they did and questioned how they did it. By being influenced by those guys who are a generation before me I always thought to myself, I would love to make an impact on the artists after me the same way those guys did. I found that the only way to do so is to focus on what makes me unique and how I want my style presented and received. Q: Is there a medium you prefer or are currently digging to work in? A: I love the process of creating something by hand or from scratch and then bringing that into my computer and applying an entirely different set of techniques or color correction. Two of my favorite questions to be asked are “How did you make that” and “Where did you come up with that idea.” I don’t have one set style of work, I try to envision how I want something to look and go from there. I let the idea of the project guide me to how I should approach it. Q: What is it that you want to convey through your art? A: Really just the idea or understanding that I’M the guy that did THAT. I’m not interested in working alone and being the only one who sees my work. I enjoy working with people and allowing the visuals I create to reach a level of exposure that exceeds past my personal reach. I don’t want to create “blind” and what I mean by that is whatever I’m investing my time into needs to have a goal for itself. It does’t just stop at the visual but more so what am I going to do with it when it’s done. Sometimes that’s up to the client, other times it’s a matter of promoting myself. A: In September of 2017, I met with Interscope recording artist Fxxxxy “Foxy”. After becoming familiar with my work and having collaborated with him on a few single releases and promotional items, he showed interest in having me apart of his team in the development of the Cash Cartel brand and assist him with creative direction. Now we are working towards the release of his debut album and whatever projects that follow. I also work closely with recording artist Miles Ryan Harris in the development of his visual content and network, not just cover art but drafting campaign ideas, working with video production and advertising. Both of them fall under different genres of music and work in different capacities but in both partnerships my line of work is essentially the same. Thinking of ideas, drafting concepts and executing the goals for what needs to be done. Q: What’s the end game for you? A&R / Creative Director could possibly be in the cards. Partnering with a label and appointed the position of being the person who works closely with my artists to not only help them with ideas but actually being of service in the developmental process of content. I love representing people I see something in and having the skill set to create is a beneficial attribute to have. I’ve worked with recording artists for the better half of 10 years, so my focus now is to make my position concrete and build my network. To land myself in a position that grants me access to working with bigger productions, other artists similar to myself and working hands on with recording artists I genuinely have a friendship with. Andrew Bird Delights Los Angeles With "My Finest Work Yet"